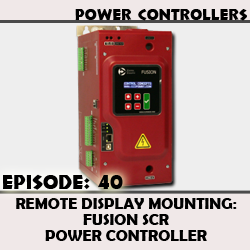 This video covers the parts and procedures involved in mounting the FUSION remote display. 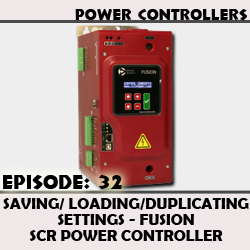 Our newest digital SCR controller, Compact FUSION, comes with onboard, branch-rated fusing (Class T). 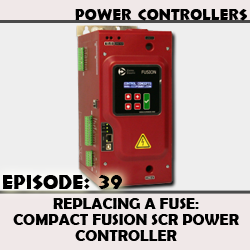 This video demonstrates how to remove and replace fuses from the Compact FUSION. An overview of the Zone tab of the FUSION Control Panel, a software program designed to assist during installation, configuration, operation, and troubleshooting. An overview of the System tab of the FUSION Control Panel, a software program designed to assist during installation, configuration, operation, and troubleshooting. An overview of full scale settings as used on FUSION or Compact FUSION controllers. An overview of basic setup and operation of a FUSION or Compact Fusion controller from Control Concepts Inc. 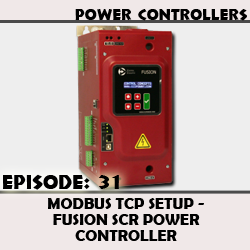 Topics include Mounting and grounding, Wiring, and controller operation. 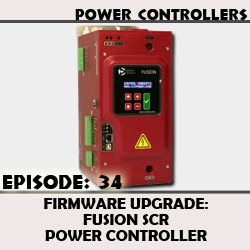 An overview of firmware upgrades for FUSION and Compact FUSION controllers. 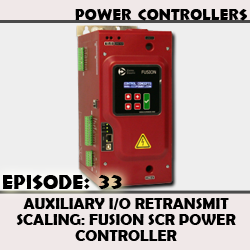 An instructional video covering how to use the Auxiliary I/O card and FUSION Control Panel software with your FUSION or Compact FUSION controller. A video tutorial demonstrating how to use config files to save, load, and duplicate controller settings. Restoring manufacturing defaults is also demonstrated.